Rinse the baby corn in water and drained it. Cut them if they are big in size. Take a bowl mix all the ingredients listed above the batter ingredients. Add water and make a thick batter. Add baby corn pieces in it and coat them evenly with batter. Deep fry till golden brown and keep it aside. Add onion fry till onion transparent. Add chopped ginger garlic and chilly stir fry for a minute. Add sliced capsicum stir for a minute. Now add soy sauce,red chilly sauce mix well and cook for 20-30 seconds. Now add fried baby corn. Stir well and add salt pepper powder. Again stir well till the sauce coat the baby corn evenly. 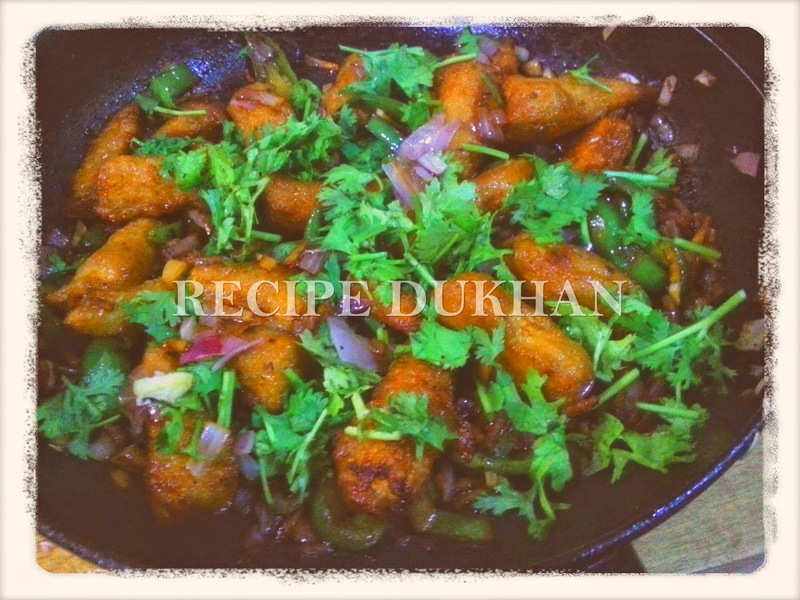 Serve spicy baby corn chilly with coriander leaves.